D.C. isn’t the only place flowing with leaks these days. Rockville First Watch patrons enjoying a casual breakfast last week noticed two familiar faces dining together: Montgomery County Councilman (District 3) Sidney Katz and former – and perhaps soon-to-be – Democratic congressional candidate David Trone. Trone is said to be strongly considering a bid for either Maryland’s 6th Congressional District or Montgomery County Executive in 2018. I emailed Trone’s campaign spokesman, Alex Koren, yesterday, requesting comment on Trone’s meeting with Katz and his apparent pledge to spend $15 million on an upcoming political campaign. I pressed Koren again on Trone’s meeting with Katz in a subsequent email, asking him to confirm the meeting with Katz and provide a comment about the details of their discussion. Koren has not responded to my second request for comment. Trone recently held the record for spending the most money ever on a losing congressional bid – $12.4 million. That was until Jon Ossoff, the Democratic candidate in Georgia’s 6th Congressional District, smashed the funding record, raising a whopping $23 million – making it the most expensive House race in political history. Ossoff will compete in a runoff election with the second-place finisher, Republican Karen Handle, on June 20. At this year’s Western Maryland Democratic Summit, Trone – a co-owner of Total Wine & More, a retail family-owned, privately held alcohol retailer headquartered in Montgomery County – told me that he intends to jump into the 6th Congressional District Democratic primary if incumbent Rep. John Delaney does not seek re-election in the 6th. Trone also willingly shared with me that Delaney supported his 2016 unsuccessful campaign for Maryland’s 8th Congressional District. However, sources close to Delaney have told me directly that Delaney, who lives just over the Sixth’s congressional border in Potomac, voted for Kathleen Matthews, the newly-elected state party chair of the Maryland Democratic Party, in Maryland’s April Democratic primary. Rep. Jamie Raskin ranked first in the 2016 CD-8 primary, besting both Trone and Matthews, who finished second and third, respectively. For Delaney, though, he certainly hasn’t kept secret his ambitions for higher office. Several sources close to Delaney claim the Democratic congressman has made up his mind and will jump into Maryland’s Democratic gubernatorial primary later this year, while others close to him predict he’ll run again for re-election in the Sixth. A source close to Delaney told me that Delaney’s plan to announce which office he’ll seek in 2018 later may not happen at all. The Washington Post reported on June 12 that Baltimore County Executive Kevin Kamenetz is likely to announce after Labor Day his decision to run for governor. My source close to Delaney explained that given Kamenetz’s decision to announce his expected gubernatorial bid after Labor Day, Delaney himself may postpone his originally scheduled June announcement and take the summer to make up his mind. While Delaney’s political ambitions are somewhat ambiguous, some Democratic candidates aren’t waiting for the congressman to announce his next move. Andrew Duck, a three-time unsuccessful congressional candidate for 6th District, entered the Democratic primary last week, officially filing his candidacy with Maryland’s State Board of Elections in Annapolis and swinging through each of the district’s five counties. Duck is in full-on campaign mode, have spent last weekend at the Garrett County Jefferson-Jackson Day Dinner as well as attending the Our Revolution – Western Maryland First Annual “Picnic for Progress” in Frederick on Sunday afternoon and the United Democrats of Washington County picnic in Boonsboro, Md. earlier this week. Duck is slated to appear on A Miner Detail’s online radio show this Sunday evening at 9:00 p.m.
Other potential Democratic candidates interested in succeeding Delaney, however, have been slightly more reserved in their public pronouncements. Maryland House Majority Leader Bill Frick and state Delegate Aruna Miller have established federal campaign committees indicating their intention to run for CD-6. Most recently, Frick’s campaign website was updated to Bill Frick – Democrat for Congress.” But Frick and Miller haven’t been nearly as active as Duck and state Senator Roger Manno. Of the potential CD-6 Democratic candidates, Manno has been the most reluctant to announce his official intentions and remains coy when asked. The progressive former Capitol Hill staffer is clearly interested in the 6th Congressional District seat but hasn’t made any official announcement or established a campaign committee with Federal Election Commission. Manno, like Duck, has attended a number of recent Democratic events in the 6th District, including the Western Maryland Democratic Summit, Garrett County’s Jefferson-Jackson Day Dinner, the April 30 City of Hagerstown Climate March, the Our Revolution-Western Maryland picnic in Frederick and the United Democrats of Washington County picnic. Manno supporter Dawn Beitzel, an active Garrett County Democrat, is promoting a “Farm BBQ & Live Music” fundraiser, hosted by “Senator Roger Manno’s Exploratory Committee for Congress.” The event is scheduled for Sunday, July 9 from 12:30 p.m. to 2:00 p.m. at Agape Farm in McHenry, Md. Trone’s willingness to invest millions into another congressional bid have some worried. 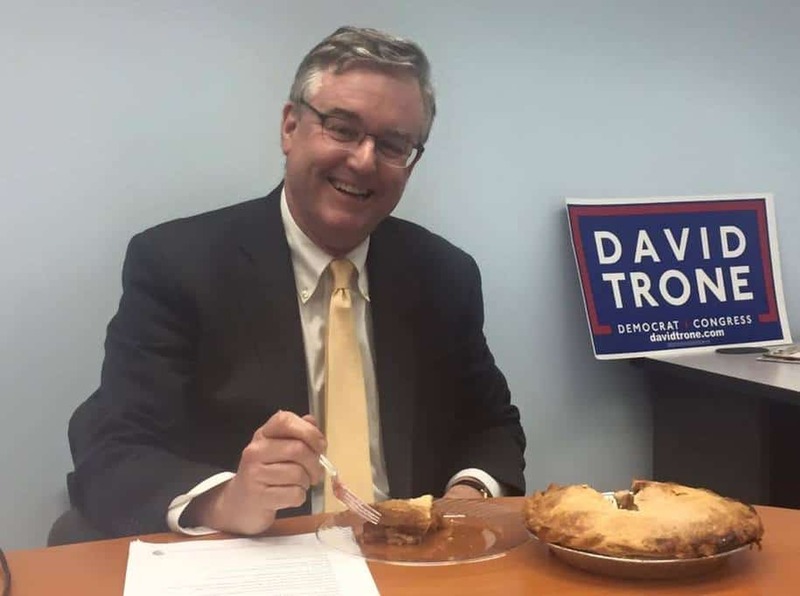 Several Maryland Democrats have told me off the record that they are “deeply concerned” that Trone will spend “whatever it takes” (a statement Trone made during the 2016 campaign) to win the 8th District’s congressional seat. 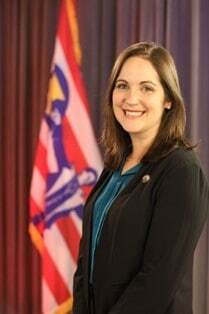 On the Republican side, only one name has emerged as a potential CD-6 candidate: Amie Hoeber. The former Defense Department official who worked under Ronald Reagan is said to be contemplating another congressional run but has made no announcement to her intentions. Candidates have until Tuesday, February 27, 2018, to file their Certificate of Candidacy. The primary election is slated for Tuesday, June 26, 2018. Please continue to follow AMinerDetail.com for the latest political news in Maryland’s 6th Congressional District.